A semi-autobiographical account of writer/director John Carney’s upbringing in Dublin in the mid-Eighties, Sing Street may well be the most enjoyable romantic drama (with extra added music and comedy) of 2016. The creator of Once (2007) and Begin Again (2013) has fashioned a delightful, appealing movie that offers very few surprises, but does so with a great deal of affection and charm. It’s a movie that leaves you with a smile on your face and wondering what happens to all the characters once the movie’s ended (at this point, a sequel featuring the same characters wouldn’t go amiss). Carney’s on-screen incarnation is Conor Lalor (Walsh-Peelo). Conor is fifteen and part of a family that is on the verge of falling apart. 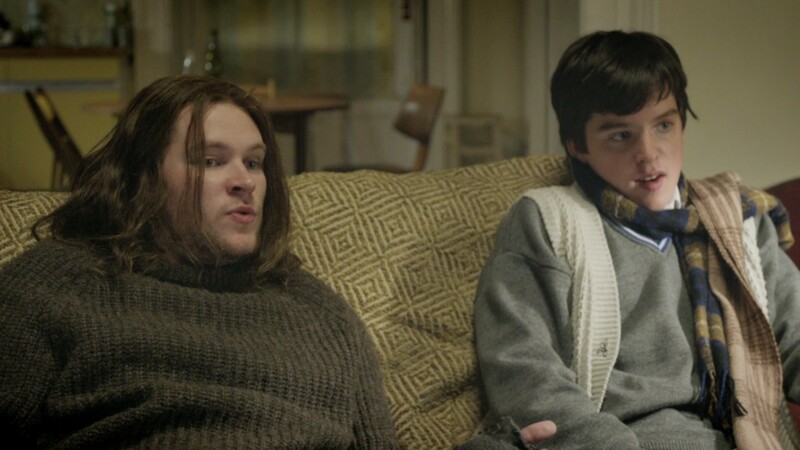 His mother (Kennedy) and father (Gillen) are constantly arguing, his older brother, Brendan (Reynor), is unemployed and hasn’t left the house in ages, while his sister, Ann (Thornton), is wrapped up in her schoolwork and upcoming exams. For Conor, life has been so far uneventful, but a change in the family fortunes means his transferring from a Jesuit school to a nearby Catholic school run by the Christian Brothers. Conor has a middling interest in music and gets most of his knowledge from Brendan. While trying to fit in at his news school, Synge Street CBS, Conor falls foul of the resident bully, Barry (Kenny), but is befriended by Darren (Carolan) who offers his services should Conor ever need them. Conor finds a use for Darren almost straight away; as they loiter at the school gates, Conor spots a girl across the street who, according to Darren, is unapproachable. Conor crosses the street and asks the girl – whose name is Raphina (Boynton) – if she wants to be in a video his band is making. Raphina is skeptical but agrees to take part in the shoot. All Conor has to do is put together a band (with Darren as their manager), and his efforts to woo Raphina can be put into operation. Conor’s plan gets off to a good start when Darren introduces him to Eamon (McKenna) who’s a multi-instrumentalist. From there they recruit a keyboard player, Ngig (Chamburuka), a bass player, Garry (Rice), and a drummer, Larry (Hamilton). They call themselves Sing Street after their school and record a demo version of Duran Duran’s Rio. They shoot their video, and Raphina takes part. Conor is happy with the way things are going but Brendan is less than supportive. Challenging Conor to write his own songs for the band, and to adopt their own visual image, Brendan makes it clear that being a covers band will get them nowhere. Suitably encouraged, Conor trusts in his own abilities and the songs he creates with Eamon go a long way to improving both the band’s repertoire and their performances. Conor and Raphina grow closer but the shadow of her planned move to London hovers over their relationship like a black cloud. And while the band become more proficient, and score their first public performance at the upcoming school disco, Conor believes he’s made enough of an impression on Raphina that she won’t leave, but when she doesn’t turn up for a video shoot, Conor learns that the life of a budding pop star isn’t as easy or as fulfilling as he’d hoped. 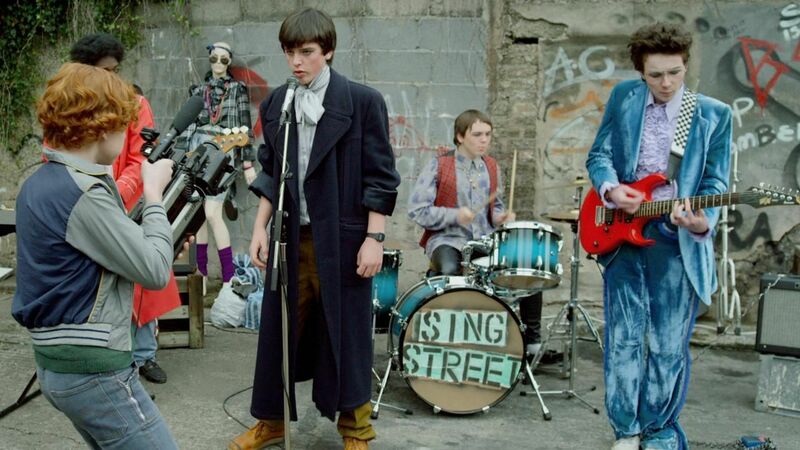 A breath of fresh air amidst a period when so many other movies are proving to be disappointments for a myriad of reasons, Sing Street is a welcome reminder that you don’t have to have a mega-budget or a host of household names (or be a sequel) to connect with an audience and become a success (if only a modest one). From its opening scene where Conor learns he’s moving schools, and which features the first of several very funny lines from Brendan, Carney’s look back at the highs and lows experienced by a lovestruck teen is simply yet expressively told, and features a clutch of winning performances from its mostly inexperienced cast. 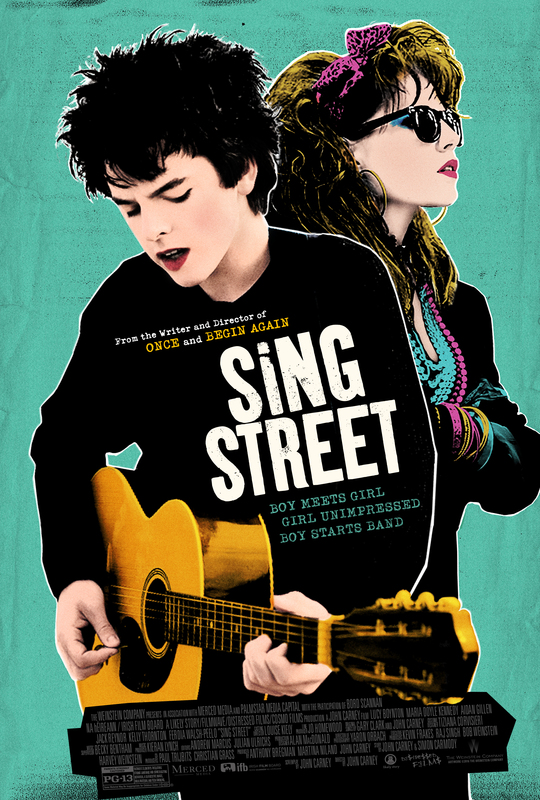 While the temptation is to label Sing Street as a musical, and while there are enough musical interludes to maintain that temptation throughout the movie’s running time, this is really about a romance borne out of happenstance and unexpected need. As such it succeeds admirably in portraying that first early flush of attraction and the disjointed emotions that often come with it. Conor’s motives are clear and unerring: he wants the girl. But in the grand tradition of all romantic endeavours, the course of true love is not allowed to run smoothly, and Raphina’s own dreams intrude on and interfere with Conor’s. It’s all handled with a seductive precision and an eye for the undisclosed feeling that makes Conor and Raphina’s relationship all the more credible, even if it is predictable in its outcome. With the central relationships all being handled with a deftness of touch that shows just how far Carney has come as a director since November Afternoon (1996), the movie is free to concentrate on the music. Like all the best musicals, Carney, in collaboration with Gary Clark, has composed a handful of songs that both advance the story and reveal Conor’s developing feelings for Raphina. It’s helpful too that they’re all very well-written, and two songs in particular, The Riddle of the Model and Drive It Like You Stole It, have the potential to find a life for themselves outside the confines of the movie. Make no mistake – and one very poignant ballad aside – these are lively, enjoyable, sing-along tunes that have an infectious glee about them, as if both Carney and his talented cast had decided from the start that melancholy tales of woe and unrequited love weren’t needed at all. And you know, they were right. 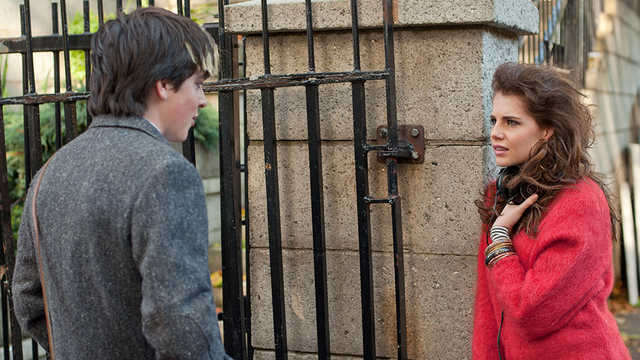 Rating: 8/10 – some elements are too familiar from too many other movies to go unnoticed, but Carney imbues these elements with a wistfulness and an enticement that makes Sing Street very hard to resist; with toe-tapping musical numbers and several appealing performances courtesy of its young cast, it’s a movie that deserves a wider audience than it will probably get, and any movie that features a great joke at the expense of Phil Collins can’t be all bad.